Recipients: People who are up-to-date with their rent but have difficulties in paying it, and who have been beneficiaries of municipal aid in 2017. Renting has become the most common way to access housing in the city. For this reason, aid for the payment of rent is a basic tool to prevent the loss of housing and social exclusion. This aid is intended to help people with financial difficulties to pay their rent. It is aimed at people living in Barcelona, ​​who hold a rental contract for a home that is their habitual residence, and who have low or moderate income. In the following sections, you will find the requirements and the necessary steps to request this aid. The application can be presented at any Housing Office of Barcelona. Aid for the payment of rent in the city of Barcelona corresponding to the 2017 call for applicants. Emergency aid derived from mediation in the city of Barcelona for the year 2017. The beneficiaries must hold a rental contract for the home that is their habitual and permanent residence. For rental contracts with effect from June 1, 2013, it is required to prove that the tenant has fulfilled the obligation of paying a deposit to the landlord. Proof of legal residence in Catalonia for five years, two of which must be immediately prior to the filing date of the application, except for returned Catalans who meet the requirements established in article 6 of Law 25/2002, of November 25, on measures to support the return of Catalans. The home that is object of the rental contract must be located in Barcelona and must constitute the habitual and permanent residence of the applicant, and must be listed as his or her domicile in the corresponding municipal register. Be registered at the home for which the aid is requested. Be at risk of residential social exclusion in accordance with article 72 of Law 18/2007, of December 28, on the right to housing. More information about income limits is provided in the table. Proof of adequate conditions to be able to continue paying the rent. This requirement is considered to be met when the amount of aid granted and the monthly household income total an amount equal to or greater than the amount of the rent. Monthly rent for the home cannot exceed 900€. Collection of the benefit must be set up through a financial institution. Rent payments for the home must be made by bank transfer or direct debit from a bank account held by the applicant, by direct deposit, or with a receipt issued by the building administrator, at least from the month following the filing date of the application. No member of the household may own another home, unless it is deemed unsuitable for use and enjoyment. No member of the household may be related by marriage or other similar stable relationship, by consanguinity, adoption or affinity up to the second degree, with the landlords. The household cannot save a taxable income in excess of 500 euros, based on income tax declarations (IRPF). Exception from this prohibition is granted if this amount corresponds to a dation in payment as a result of a foreclosure on a home that has constituted the habitual and permanent residence of the applicant. 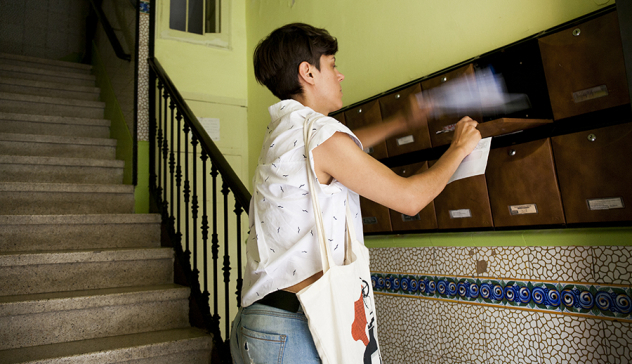 Tenants of homes owned or managed by the Housing Agency of Catalonia or by the Municipal Institute of Housing and Renovation of Barcelona, as well as housing subsidised by public programmes, are not eligible for this aid. Printed application form for the aid for rent payment. Identification document (DNI / NIF / NIE or valid equivalent document) of the applicant. Certificate of cohabitation that proves habitual residence in the home of all members of the household. Legal residence in Catalonia, which must be accredited for five years, and two of which must be immediately prior to the date of application. Applicants whose NIE does not include the "permanent" or "long term" specification must provide a residence certificate issued by the foreigners' office or by the national police, along with certificates from the different municipal registers. Personal income tax declaration (IRPF) corresponding to the last closed fiscal year of the applicant and of each member of the household that is of working age. In case of exemption, a certificate of income tax allocations from the State Agency of the Tax Administration (AEAT) must be provided. Exceptionally, in the case of significant changes resulting in an increase or decrease in income, documentation must be submitted to prove the income of the last three months of the person(s) that suffered the change, together with a working life report issued by the general treasury of Social Security. This report must be requested via the Social Security website or by telephone 901 502 050. Rental receipt from the month in which the application is submitted and from the previous month. Identification document (DNI / NIF / NIE or valid equivalent document) of all adult members of the household. If any member of the household does not have a DNI / NIF / NIE, they must provide a valid equivalent. Authorisation by all members of the household that are of working age so that the bodies managing the requests for aid can obtain data necessary for the processing and follow-up of the request by other public bodies. Rental contract in the name of the applicant. For rental contracts with effect from 1 June 2013, it is necessary to prove fulfillment of the tenant obligation to pay a deposit to the landlord. Standardised bank data form in the name of the applicant, with the bank details of the account into which the aid must be deposited, stamped by the financial institution. Certificate of cohabitation that verifies residence in the home of all members of the household. The identification document (DNI or equivalent) of the applicant and all members of the household. The personal income tax declaration (IRPF) of the applicant and all members of the household that are of working age. Certificate of income received, in the case of unemployed people and pensioners. Certificate of degree of disability, if applicable. The Housing Consortium of Barcelona can request, directly or through the entities collaborating in the management of this aid, additional documentation deemed necessary for the resolution of each case. 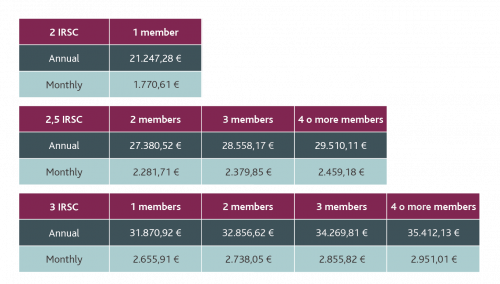 The amount is determined according to each case, but ranges from a maximum of €300 per month (€3,600 / year) and a minimum of €20 per month (€240 / year). Exceptionally, in duly accredited cases of risk of residential exclusion and provided there is a favourable report issued by municipal social services, the maximum amount of the benefit may be increased. This aid can be granted for a maximum period of twelve months. The call to request this aid is currently closed. The last call was open from September 6 to November 16, 2018. This aid is temporary and is incompatible, for the same monthly payments of the current year, with other aid, benefits or subventions that fulfil the same purpose. In the case of duplication of aid for the same monthly payments, a partial or total revocation will be made in accordance with the duplicity that has been committed. The payment of the aid is conditioned by the budgetary availability established in the call, and by the knowledge of the Housing Consortium of Barcelona that the beneficiary is up-to-date with rental payments. Given that this aid is a public subsidy and involves capital income, the beneficiary must present their personal income tax declaration (IRPF), which must include the amount received.